Gloria Jean's Coffees is Australian-owned and is respected around the world. We’re one of the world’s fastest growing franchises, serving millions of guests every week. But there’s more to our brand than these impressive statistics. There’s the drive to source and serve the best product around, providing our customers with the ultimate coffee experience. Because at heart, what our franchise owners share is a belief that better coffee makes a better world. Someone who has a passion for coffee. Someone who is dedicated to operational excellence. Someone who is 100 per cent committed to running a successful business full-time and knows that it will take a lot of dedication and hard work. 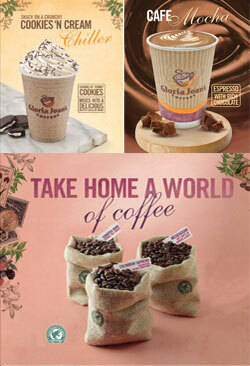 Gloria Jean’s Coffees is a well recognised international brand. We are particularly interested in Waterford, Limerick and Galway for single or multi-outlet franchise owners. We are also actively recruiting franchise owners to work with us to develop Dublin and the North of Ireland as multi-outlet regions. 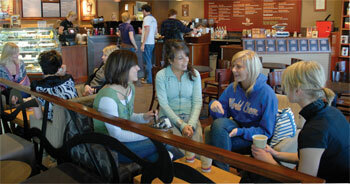 At Gloria Jean’s Coffees we’re passionate about many things. Two of the most important are coffee and our customers. That’s why we’re one of the world’s leading specialty coffee franchises. With 30 years’ experience and over 1,000 stores in more than 39 markets, Gloria Jean’s Coffees is becoming known throughout the world for delivering the ultimate coffee experience.